Complement your creative and fun side by adorning cabinets, walls, and windows with the Deco Light Rail Insert. 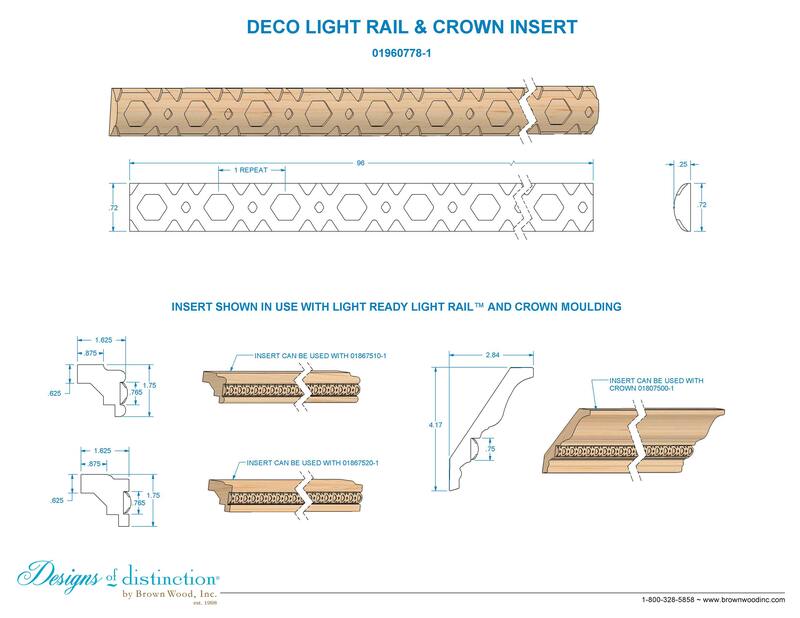 Apply the Deco Light Rail Insert on it’s own or create a decorative component of your own design using our Traditional, Contemporary, or Crown Light Rail Moulding. The Deco Light Rail Insert is part of our Art Deco Collection. Shop more of this look in the Art Deco Collection.